A small private garden set on half an acre, which is open 12 months of the year, by prior arrangement, to groups. Distinctively different, Coolwater Garden, overlooked on either side by Skule Hill and Rockstown Castle, is designed for year round structure and shape. Its highlights contain a really cool water garden, a large number of landscaped Alpine troughs, covered Arid section, combe bordered with thyme running between two ponds, fern dell, juniper escarpment, Lewisia outcrop, Japanese Maple bed, bamboo, heath, etc, etc. Lizards, newts and frogs love the garden and have made it their home. Native stickleback fish explore for food in the water. 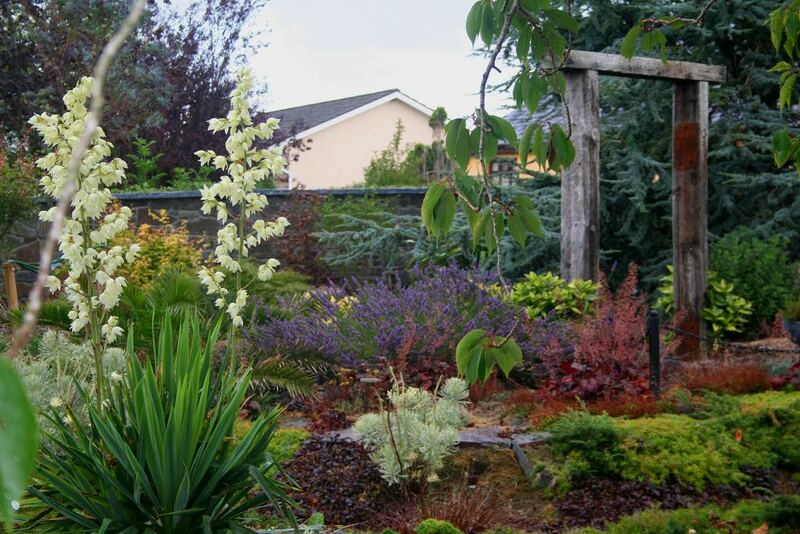 The Ballyhoura Heritage & Gardens Trail. Each of which will provide a full day’s activity in a tight geographical area. Details are to be found on the Tours and Attractions page.